The name makes an illusion of something extraordinary. But when the box is open you don't even feel like sitting on those costly seats in darkness. 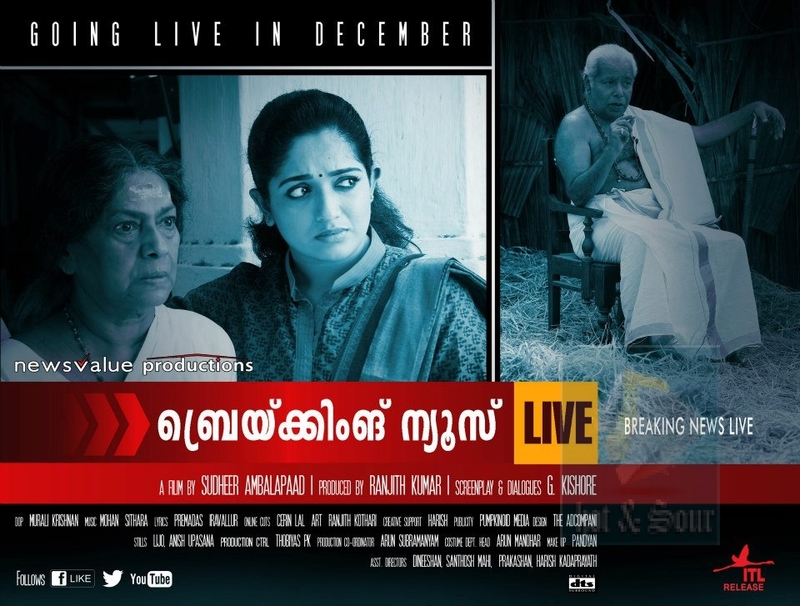 Sudheer Ambalapaad's directorial debut, Breaking News Live has only pretty Kavya Madhavan as a show piece. Of course, she is gorgeous. But even that is boring when nothing else is there to turn our attention. As one of my friends commented, we can't find a plus in this film and that is the minus of it. Obviously the theme makes sense and it is relevant too. It reminds the need of essential reactions. But the way the basic plot is converted into a screenplay is really pathetic. And the cinematic version makes it completely useless. The story is based on the sexual violence against women in Kerala today. Soumya murder case happened in Kerala serves the plot of Breaking News Live. The nonlinear script structure fails pathetically to convey the theme. The premature directorial skills can't do anything to save it. Songs are good and the visualization also works well on the screen. 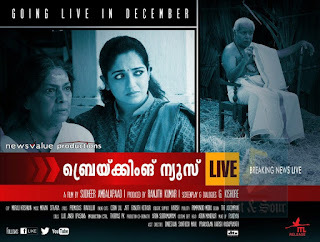 Kavya Madhavan is the main attraction of the movie. She fits well in the role of Nayna. But she is also struggling to strive forward in a faulty script. Climax scene has close resemblance with the restaurant fight scene in Chakde India. No other character demands special recognition. The time you spend for this movie is really a waste. That is the underlined box-office verdict for Breaking News Live. Beware of it.